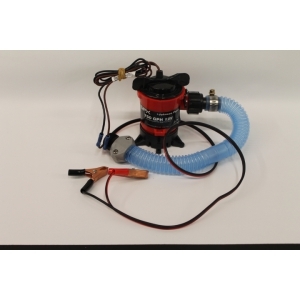 The pump is designed to attach to a regular 12 volt battery and will supply steady water flow for the blue bowl. It comes pre plumbed, wired and is ready to use. 750GPH.